Nice, he actually was a ‘discretion is the better part of valor sort’ and sensible enough to just walk away rather than force the issue. Must be why he’s survived as long as he has. That would be a quick assessment. But I am rather certain that the Hunter may have realized that the person he is facing could be a bigger threat then he appears. All in all, some one ‘BLINKED’. Belvidier was very clearly a threat to the hunter and all his actions showed it. He knew Belvidier already either personally or by reputation. And there was nothing in Belvidier’s actions that gave any indication that he felt threatened by the hunter but was very cool all the while. We’ll have to bank one for later. 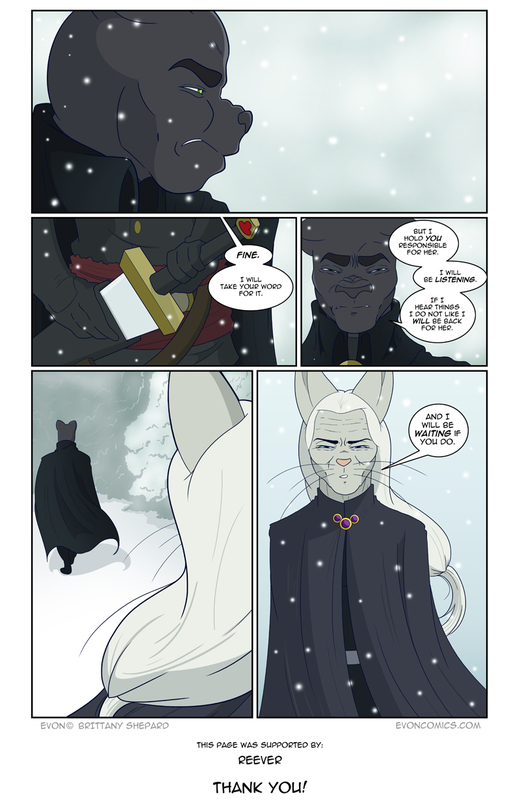 For some reason, with the long white hair there, Belvedier suddenly made me think of Anomander Rake. that comparison alone is enough to tell me who would have come out on top in this fight. That was as classic a face saving withdrawal from the brink of conflict as you could hope to see. I would hope the next step would be a pleasant interview where-in the witch hunter makes inquiries as to the motivation of the source of the information that sent him into that situation. Anyone else get the impression that, in the “real” world, Belvidier would be the bunny in a certain Monty Python sketch? Yes but, he would toss the grenade back into Arthur’s lap and then kill the rest of the knights. Are mild mannered butler seem to have quite a reputation in other circles it seems. As ancient say just not worth it!